Her speciality was in the strength of metals, and the way in which this affected engineering problems. Her major contribution was during the Second World War investigating the causes of brittle fracture in Liberty Ships. 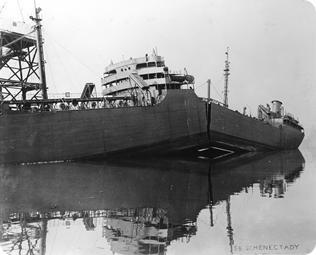 Liberty Ships were the first all-welded pre-fabricated cargo ships and were mass produced in the United States. 2,751 Liberty Ships were built between 1941 and 1945. Only two now remain afloat. Professor John Baker, who was Head of Engineering at that time was asked to launch an investigation into the reasons why these ships were breaking up so he brought Constance Tipper in as the technical expert.